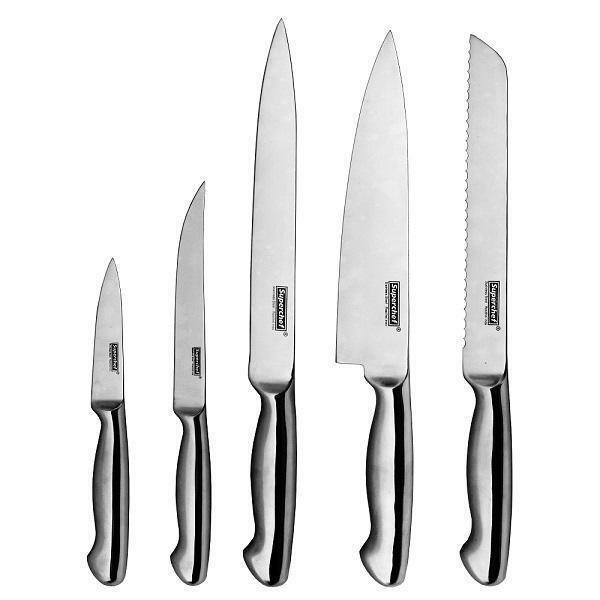 5-pc Kitchen Knife Set | All Stainless with Jagged End Handle(KET-111) - Keywood International Inc. The handles are with jagged end and the hollow design are lightweight. Making it more comfortable for cutting. This 5-piece cutlery knife set is composed of all stainless steel design for a mono-chrome, silver display. Each of the knives are hand-sharpened one by one by skilled masters to ensure long lasting sharpness. Fully forged knifes for maximum reliability. All stainless handle for maximum comfort and versatility.